Basic Conducting Techniques, Seventh Edition, provides a clear and intelligible introduction to the art of conducting an ensemble. Over the course of fourteen chapters, the authors explicate the elements of conducting, supplementing their teachings with an extensive selection of musical examples from the classical repertoire. Practical and innovative, clear and approachable, this text illuminates the essential skills a beginning conductor should develop to lead and rehearse a performing group. a new companion website, which includes the scores and transpositions for all musical excerpts, audio recordings of the excerpts, and demonstration videos modeling specific techniques for each chapter. With the beginning conductor in mind, this hands-on, competency-centered approach is appropriate for mixed classes of choral and instrumental music majors, providing indispensable versatility for students and practicing conductors alike. 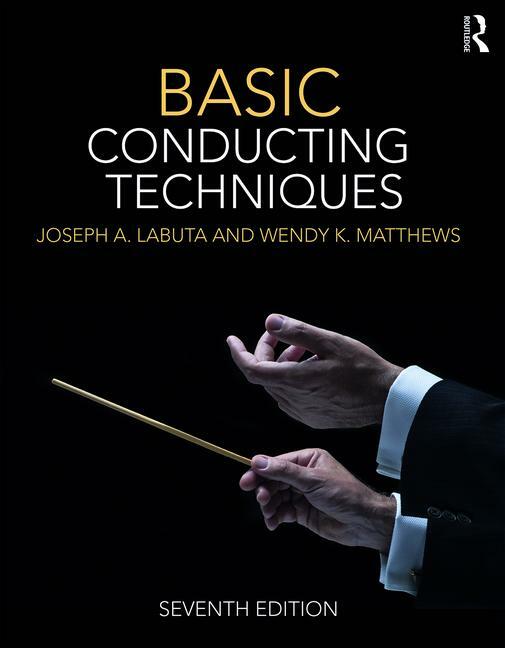 Rooted in decades of teaching and conducting experience, Basic Conducting Techniques is the essential guide to the principles of conducting. Joseph A. Labuta is Professor Emeritus of Music and former Director of Music Education at Wayne State University. Wendy K. Matthews is Assistant Professor of Music and Instrumental Music Education at Wayne State University.